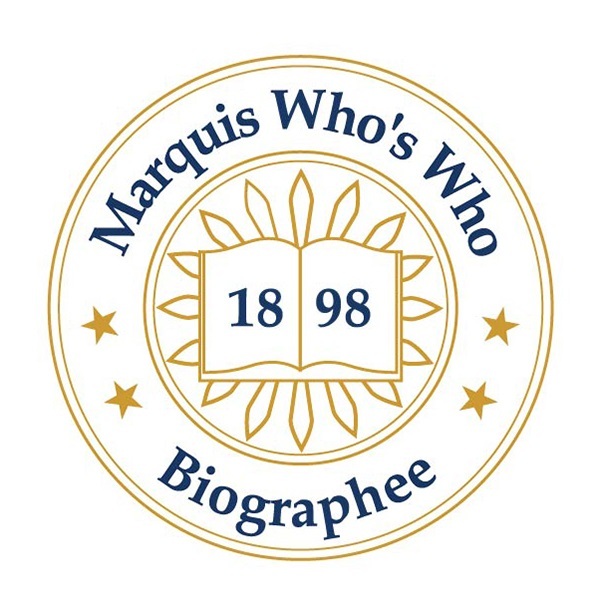 POTOMAC, MD, October 12, 2018 — Marquis Who's Who, the world's premier publisher of biographical profiles, is proud to present James Ziglar, Sr. with the Albert Nelson Marquis Lifetime Achievement Award. An accomplished listee, Mr. Ziglar celebrates many years of experience in his professional pursuits, and has been noted for achievements, leadership qualities, and the credentials and successes he has accrued. As in all Marquis Who's Who biographical volumes, individuals profiled are selected on the basis of current reference value. Factors such as position, noteworthy accomplishments, visibility, and prominence in a field are all taken into account during the selection process. Mr. Ziglar began his career as a staff assistant to United States Senator James Eastland in Washington, D.C. from 1964 to 1971. He was a special assistant for legislative and public affairs at the United States Department of Justice in Washington D.C. from 1971 to 1972, and from 1972 to 1973, he served as a law clerk to Associate Justice Harry A. Blackmun of the United States Supreme Court. From 1973 to 1977, he was an associate at Mudge, Rose, Guthrie, Alexander & Ferdon in New York, and from 1977 to 1980, Mr. Ziglar was a partner at the Phoenix law firm of O'Connor, Cavanagh, Anderson, Westover, Killingsworth & Beshears. Mr. Ziglar held the position of senior vice president at the investment banking firm of Dillon, Read & Co. in New York from 1980 to 1984. In 1984, he joined Paine Webber Inc. in New York as a managing director and continued in that position until 1987 when he was appointed by President Reagan, and unanimously confirmed by the U.S. Senate, as Assistant Secretary of the Interior in Washington D.C. Following his service as Assistant Secretary of the Interior, he worked as a managing director for Drexel Burnham Lambert Inc. in New York from 1989 to 1990. Mr. Ziglar rejoined Paine Webber Inc. in New York as a managing director from 1990 to 1998. In 1998, Mr. Ziglar was elected by the United States Senate as its Sergeant-at-Arms, and served in that position until 2001, when he was appointed by President George W. Bush, and unanimously confirmed by the U.S. Senate, as Commissioner of the Immigration and Naturalization Service. He served in that position until the end of 2002 when he retired from federal service upon the merger of the Immigration and Naturalization Service into the Department of Homeland Security. In 2003, he was a Resident Fellow at the Institute of Politics at Harvard University. Mr. Ziglar also was Distinguished Visiting Professor of Law at the George Washington University Law School in Washington, D.C. from 2003 to 2004. From 2004 to 2005, Mr. Ziglar was managing director and chief business strategist for the Public Securities Department of UBS Financial Services Inc. in New York. From 2005 to 2008, he was president and chief executive officer of Cross Match Technologies Inc. in Palm Beach Gardens, Florida. He was active as a Senior Fellow of the Migration Policy Institute in Washington, D.C. from 2008 to 2017. He has maintained involvement with the Migration Policy Institute on the Board of Trustees since 2017, becoming the Chairman of the Board in 2017. Additionally, since 2009, Mr. Ziglar has held the position of Senior Counsel at the Washington, DC law firm of Van Ness Feldman, LLP. Mr. Ziglar received his Bachelor of Arts degree from the George Washington University, Washington, D.C., in 1968. He obtained his Doctor of Jurisprudence from the George Washington University Law Center in 1972. Mr. Ziglar was licensed to practice law by the Virginia State Bar in 1972, the District of Columbia Bar in 1973, New York State Bar in 1975, and the State Bar of Arizona in 1977. Mr. Ziglar has served on numerous boards of directors and advisory boards during his career, and presently is a director of Integrated Biometrics Inc. and Forward Industries, Inc. He is an honorary director of the National Water Resources Association, and is a member of The Presidents' Circle of the National Academies of Sciences, Engineering and Medicine. Mr. Ziglar was named a National Associate of the National Academies of Sciences, Engineering and Medicine in 2008, and has served on the Board of the Division of Earth and Life Studies, the Water Science and Technology Board, and the Board of Councilors of the Radiation Effects Research Foundation. Since 2003, he has been an annual lecturer for the minority health policy program at Harvard University Medical School. Mr. Ziglar was a member of the George Washington University Law School Law Review, as well as recipient of the Distinguished Advocate Award from the George Washington University Law School. In 1988, he received the Achievement Award from the Secretary of the Interior and was named Water Statesman of the Year by the National Water Resources Association. Additionally, Mr. Ziglar was recipient of the National Water Resources Association Lifetime Membership Award, and the National Water Resources Association Lifetime Achievement Award in 1999. In 2002, Mr. Ziglar was honored with the Distinguished Service Award from the United States Department of Justice and the Distinguished Alumni Achievement Award from the George Washington University. In 2018, he was a recipient of the Ellis Island Medal of Honor, and in 2016 he was invested as a member of the Order of St. John. Mr. Ziglar previously has been selected for inclusion in multiple editions of Who's Who in America, Who's Who in Finance and Business, Who's Who in Science and Engineering, Who's Who in the South and Southwest and Who's Who in the World. In recognition of his outstanding contributions, Mr. Ziglar has been featured on the Albert Nelson Marquis Lifetime Achievement website. Please visit www.ltachievers.com for more information about this honor.